If you could buy the same quality product for less money, would you do it? Of course. When it comes to prescription drugs, the same approach applies. A generic drug is manufactured and sold by a company other than the company that originally created it or the original patent-holder. For example, the company that developed acetaminophen gave it the brand name Tylenol®. When the patent on Tylenol expired, other companies started to make the generic version. Although generic drugs are chemically the same as brand-name drugs, they are typically sold for much less money than the brand-name drug. Not all brand-name drugs have a generic equivalent available. That's why it's important to ask your doctor. If there's a generic available, your doctor can prescribe it instead of the brand-name drug. Of course, depending on certain circumstances, your doctor may feel the brand-name drug is the most appropriate medication for you, instead of an available generic. Talk with your doctor to find out what's best for you. Is a generic drug as safe and effective as a brand-name drug? Yes. Unlike some �generic� products on the market like paper goods or groceries, generic drugs must meet the rigorous standards of the U.S. Food and Drug Administration (FDA). In fact, any generic drug brought to market must be identical or �bioequivalent,� to its brand-name counterpart in dosage form, safety, quality, performance, strength and usage. Will a generic drug take longer to work once I take it? No. Generic drugs must deliver the same amount of active ingredient in the same timeframe as the brand-name drug. Once you take it, it works just the same way as a brand-name drug. How can generics cost less? They do not require the same costly research, development, sales and marketing investment as brand-name drugs. While brand-name drugs are under patent (typically 20 years), the original drug developer recoups costs by charging more. When the patent expires, other makers may begin producing and selling the drug using the generic name. Generic manufacturers must comply with the same federal quality standards as brand-name manufacturers. What about generic drug side effects? All drugs � brand name or generic � have the potential for side effects. The active ingredients in a generic must be the same as the brand-name drug; inactive ingredients such as flavors and preservatives may differ. Side effects may vary based on these differences. 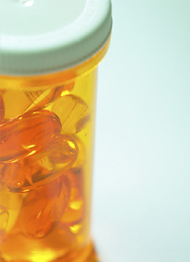 The FDA has found no difference overall in side effects between generic and brand name drugs. Why aren't all my prescriptions for generic drugs? Not all drugs have a generic equivalent available. Also, your doctor may feel that, depending on certain circumstances, the brand-name drug is the most appropriate medication for you. Do generic drugs look different from brand-name drugs? Yes. For legal reasons, a generic drug is different from the brand-name drug in size, color and shape to distinguish it from the brand-name drug. Am I missing out on newer and better drugs if I take a generic? Only your doctor can advise you on whether a new drug can more effectively treat a condition. In many cases, generic drugs remain the doctor's first choice even when new drugs appear on the market. Talking with your doctor about your prescriptions is always the best course of action.